So on Monday night I crawled into bed with some vintage Paul Newman. 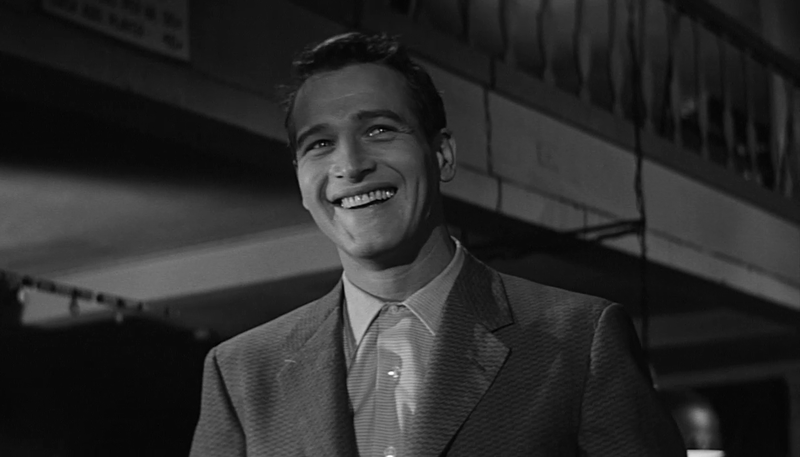 I started watching The Hustler, and definitely fell asleep before it was over, but I just thought, if my readers enjoy Paul Newman even a quarter as much as I do, they will love some screen shots just of him smiling and wearing a jacket. And, am I right? Look at him! 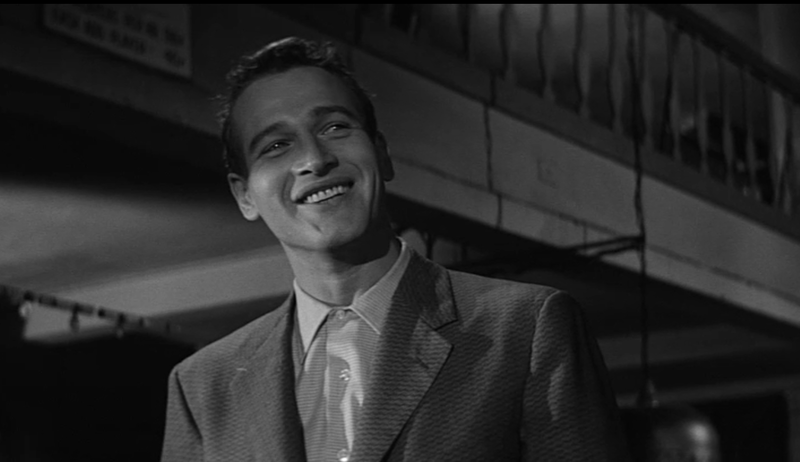 I tell ya, Ryan Gosling has nothing on Paul Newman. 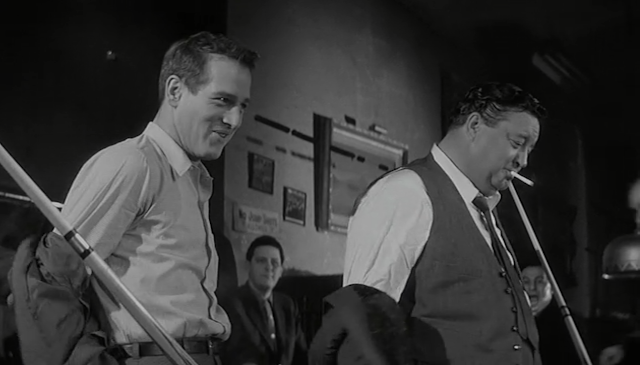 In the movie he's an up-and-coming pool shark with a sweet spot for Jack Daniels, and he plays against this dude named Minnesota Fats. I'm interested to see what happens next, so perhaps later in the week I'll let you know. He just met a girl, and I think he might like her. She drinks a lot, too. Anyway, if I've piqued your interest, it's currently streaming on Netflix. 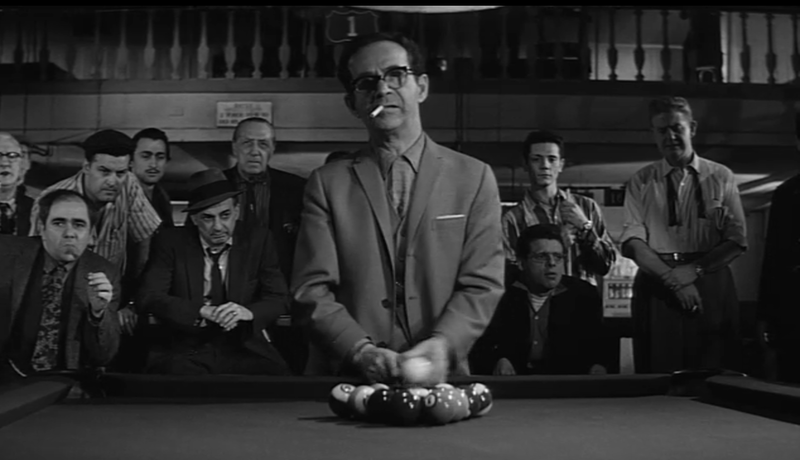 I loved this moment where "Fast Eddie" and "Fats" both take off their jackets and really get down to business in their high-stakes pool game. I mean, come on. 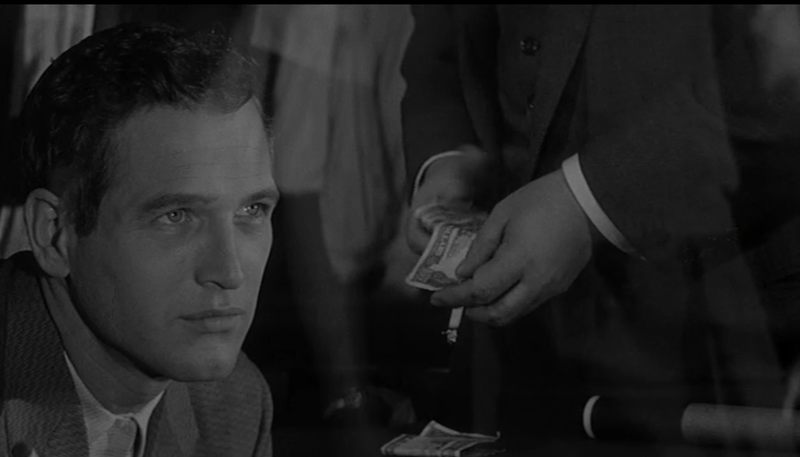 Those blue eyes shine even in black and white. Le sigh. There will never be another. He's totally on top of the guest list at my imaginary dinner party. 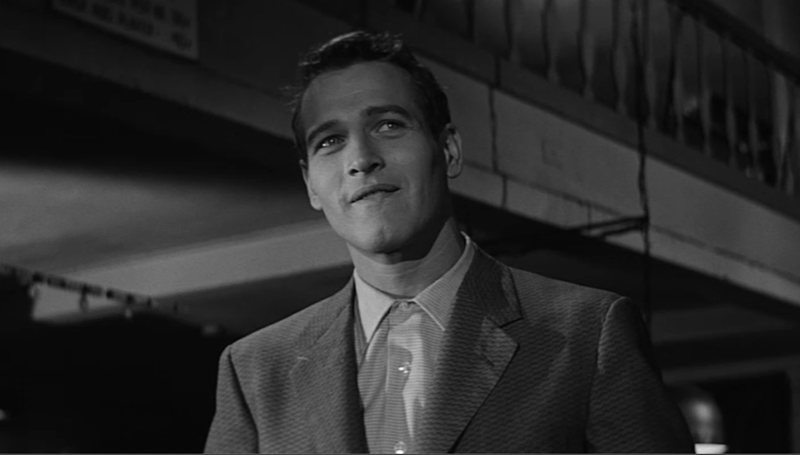 He was such a babe. And you're right, there will never be another like him! Seriously. The most handsome man that ever lived. I have a funny picture of him that I treasure- my mom and aunts were obsessed (of course) so when they heard that he was filming a movie on the Oregon Coast in the 70's (only a couple hours away from where they lived) they packed up their car and drove to find him. They watched filming for a day and were able to snap a picture of him in shades in a white Mustang- amazing.